Following the successful strategy of asking clients to book early, we have already sold most of our 2019 tee times to new and existing clients. However there are still some available. 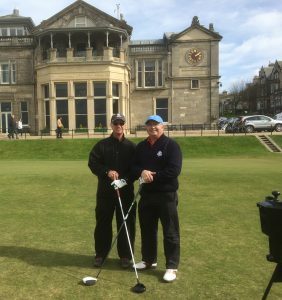 In addition there are hundreds of ballot times available so we are still planning many trips to St Andrews and we will enter you in the ballot every day you are there until you are successful. (The good news is you will pay lower green fees for ballot times). If we have golf booked for you on the day you are successful in the ballot, then we can usually rearrange it to another time. 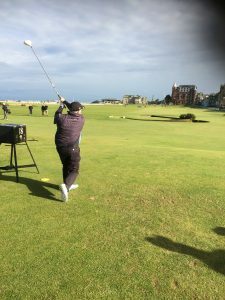 The courses that we are working with in St Andrews area all understand that late changes are required due to the ballot process, and accordingly tee times are released and rebooked every day during the season. 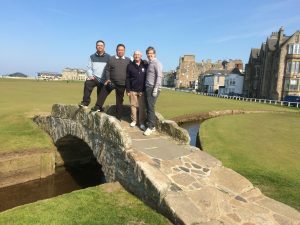 It’s never too early to start planning your golf trip so if obtaining a guaranteed tee times on The Old Course is important to you, then book early. As we have been appointed by St Andrews Links, an Authorised Provider of Old Course tee times we will be notified of our 2020 monthly allocations in February 2019. We then apply for clients tee times on the dates that suit their itinerary in March, and are informed of these actual times in May. Therefore we can be reasonably sure the times we are offering you in 2020 are likely to become available, but if we are wrong then we will make a full refund of any deposits you have paid – we can’t be fairer than that! If you are not successful at acquiring a trade time, or a direct time, don’t despair. There are still plenty of ballot times. However the ballot takes place 2 days before play, so you will travel to St Andrews and then find out when you get there if you have got a ballot time. We will deal with the process of entering your names at the right time for your group. The ballot times are the least expensive method of acquiring a tee time. 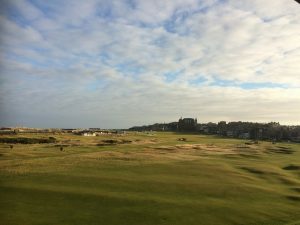 In practise, we usually plan for groups wanting to play The Old Course to stay in St Andrews for at least 3 or 4 days and play other courses each day, keeping one day free for The Old Course. If you are unsuccessful in the ballot on the day we have kept free it, then we are usually able to rearrange tee times at the other courses you are playing, to make sure you play all the courses in your tour. We deal with all that for you when you are here. All golfers will be required to produce handicap certificates to the Starter confirming their handicap is 24 or better for Gents and 36 or better for Ladies. These should be requested in advance a few days before play. The caddies fee is approximately £65 including tip and should be paid in cash at the end of the round..
Carts are not available on the Old Course. A few carts are allowed for people who are registered disabled. Book it when you have obtained your tee time. Pull trolleys are only available after 12 noon on The Old Course. Please note that the course is always closed on Sundays. From 16 April to 14 October 2018 is £180. Don’t despair……as difficult as it sounds to get a time on the course, we are pleased to advise that we obtained daily ballot times for over 95% of golfers who booked with us, in April, May & June and over 75% in July and 50% in August. 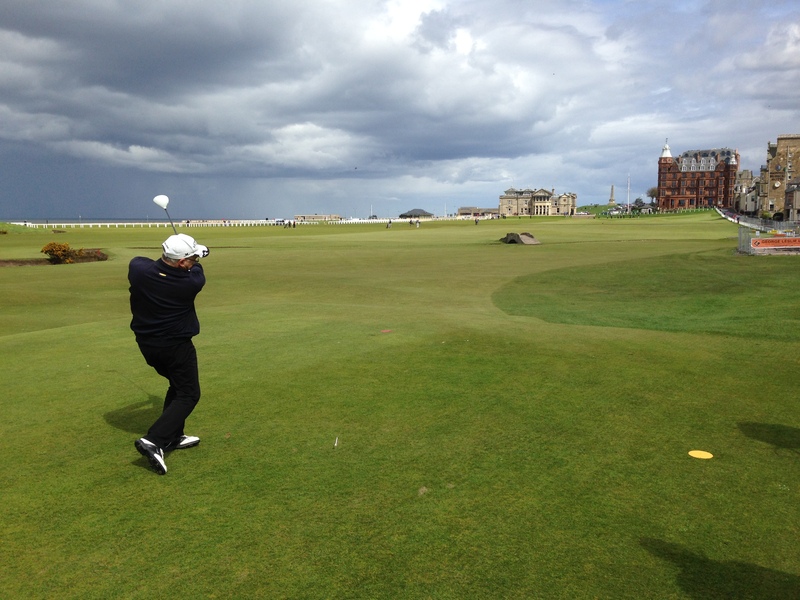 Scotland Tours have been arranging for thousands players from all over the world to play golf on The Old Course since 1997 and our reputation with the St Andrews Links is impeccable. Nobody tries harder to get you a time than Scotland Tours. All golf tours to Scotland, with 4 or more golfers, will have a complimentary 1 hour group coaching session included. Most of these sessions will be run by a PGA Professional and will be scheduled into your tour, usually on your arrival day or within a few days of arrival. If you prefer not to have this service please just tell us! Arriving in Scotland to play many of the famous courses that are on most golfer’s bucket list, you will want to play your “A” game. Our Pro can help you out and give you the best possible start to your tour. Not only do we want you to go home with great memories of an amazing trip, we want you to enjoy playing your best golf when you are here.